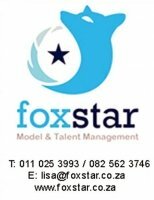 Foxstar is a model & talent management agency seeking new faces of all ages for freelance TV and Magazine work. No experience is needed to join our agency as we accommodate experienced and inexperienced individuals. If you are looking for freelance work and have a great personality or look for TV and Magazine work then our agency is the place for you! Once you become a member with us then you will be considered for work , earn extra cash while experiencing on set jobs and meeting new and interesting people! Follow us on our facebook group wall FOXSTAR to see what we are all about. and we will send you all the info needed to join!